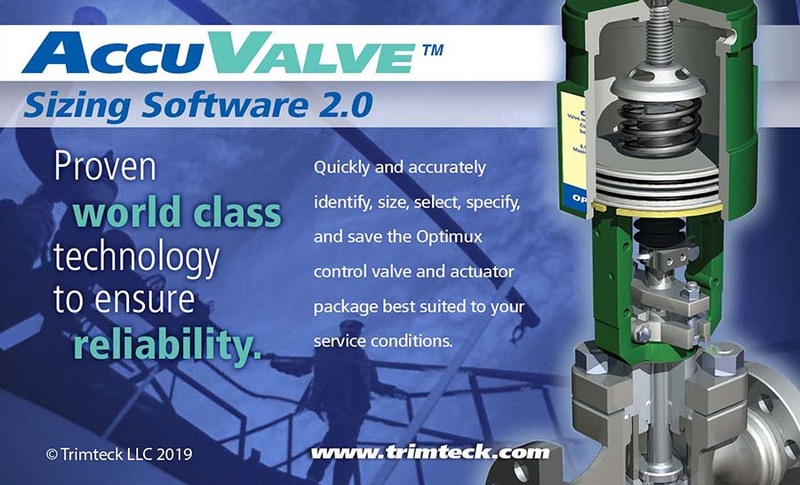 Quickly and accurately identify, size, select, specify, and save the Optimux control valve and actuator package best suited to your service conditions. 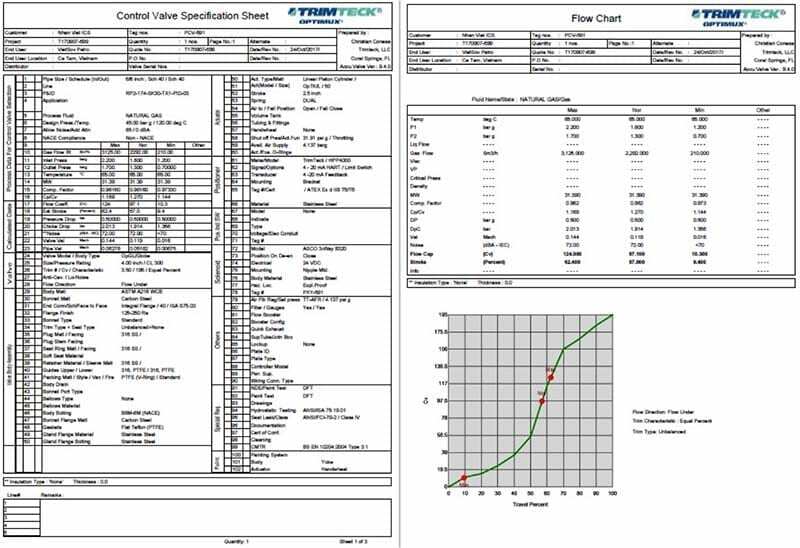 AccuValve™ is Trimteck’s state-of-the-art sizing and selection software for control valves based on the ISA 75.01 standard. 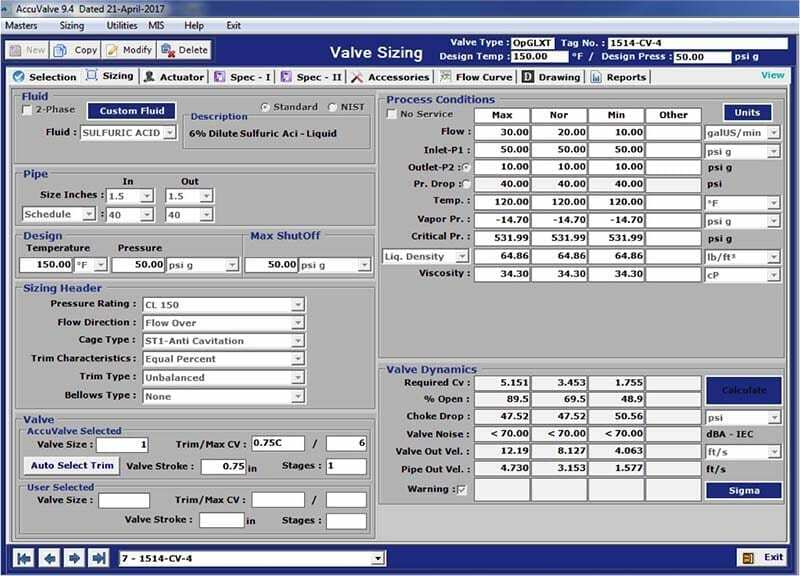 Once installed on your computer, the program is user-friendly yet comprehensive enough to size and specify valves with complex multi-stage anti-cavitation and noise abatement solutions. By inputting your process conditions, you can accurately home in on the specific valve, trim, actuator, positioner/accessories, and materials configuration that will safely meet your control requirements. 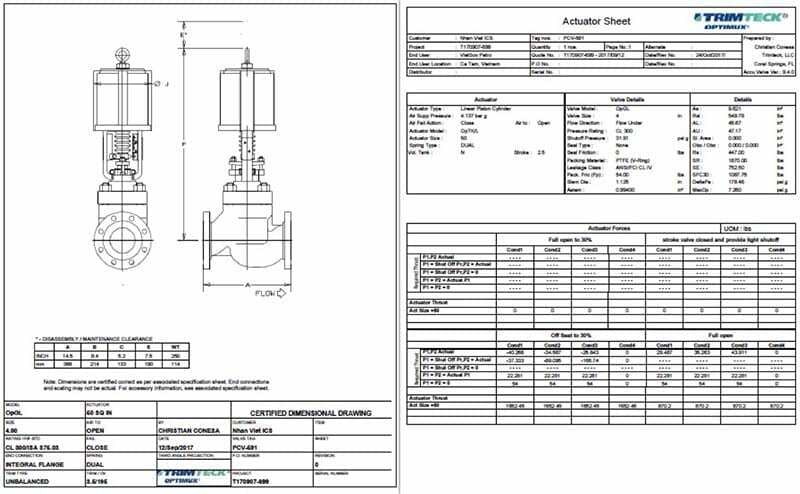 AccuValve generates an ISA Data Sheet, Flow Curves, Actuator Calculations, and Dimensional Drawings. It also has a built-in customer and project management tool that facilitates revision control in the quoting stage of a project. In order to receive a download link and user credentials, please register by submitting the form below. You will receive an email response with instructions within 24 hours. Stay ahead of industry trends with the Trimteck newsletter! Check this box if you wish to receive Trimteck news.